WALTON COUNTY, Fla— The body of a missing DeFuniak Springs man was located at Morrison Springs Thursday morning. Wednesday evening a vehicle belonging to John Charles Thomas, 51, was discovered abandoned at Morrison Springs. When he did not return home, he was reported missing by his wife later that evening. 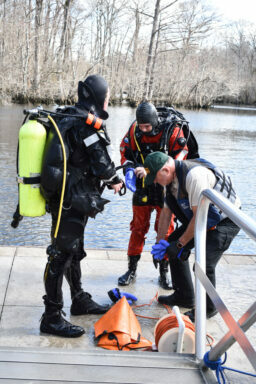 The dive team was deployed to Morrison Springs and located Thomas’ body in the water just before noon. The death appears to be accidental in nature. There is no foul play suspected at this time. Next of kin has been notified.